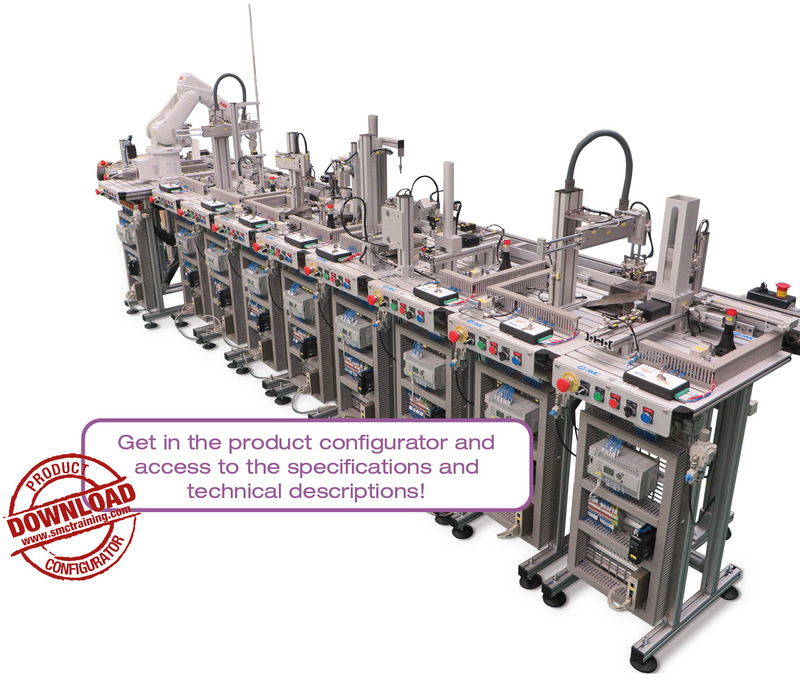 FAS-200 is a flexible and compact assembly system which includes industrial automation technologies. FAS-200 comprises up to 18 independent stations with integrated control. This modular equipment features a higher number of stations in the same space, which means that more users will be able to work at the same time. In addition, it enables making a staggered investment, i.e. starting with an initial basic configuration which can be easily enhanced by adding workstations. 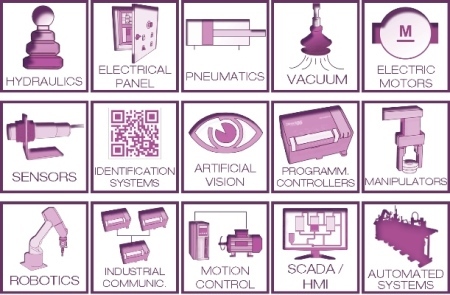 FAS-200 offers professional skills training to suit the world of industry using standardised industrial components. The different process stations assemble a turning mechanism. To provide the system with greater flexibility, the stations adapt to a wide variety of assemblies, introducing variations in the materials, colours and part sizes. 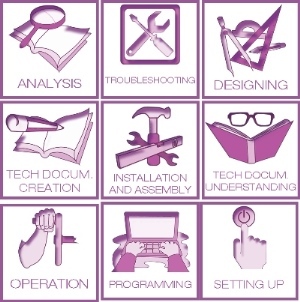 The combination of all these options means that a total of 24 different assemblies can be produced enabling the use of production management strategies. Each of the FAS-200 system stations carries out part of the process. Common elements in all stations: Power supply, anodised aluminium structure, control keypad, solenoid valve block, labels for cables, electric connection terminals,speed controllers, air treatment unit, control PLC* and manual user manual and practice manual. *Options: PLC Siemens, Omron, Allen Bradley or without PLC.